Please click here to send Real Image Internet an email and we will get back to you. 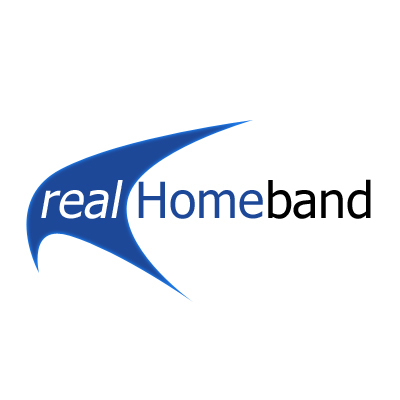 realHomeband - is designed for the home user with different Internet access requirements. This option allows for the use of more features on the internet, without the frustration of waiting for pages to load. 1GB, 2GB and 4GB Cap levels are available depending on which realHomeband package you choose. Since its introduction in 2008, the local telco has been actively involved in ensuring that the service and solution is available in a a number of areas in Swaziland. This network continues to expand daily. First things first, check if your area is ADSL enabled. You can contact our Customer Services Team to assist you check if you Area is ADSL enabled. What to think about when choosing your package? 1. Availability of ADSL in a specific area: This is the first factor to consider when getting ADSL because if the telephone exchange in your area is not ADSL or DSL enabled or doesn't support ADSL, you will not be able to get ADSL. Please see attatched. 2. Distance from the exchange: You must be within a radius of 4 – 5 KM from an ADSL enabled telephone exchange. 3. Cost of the ADSL service: Does it make financial sense to change from your existing connection to ADSL Service? Consider what you are paying for your current connection on a monthly basis plus your telephone bills and whether it suits your usage, how often you use the internet. 4. ADSL line speed: You don't want to be stuck with a slow line speed when you need a higher line speed for online gaming, downloading large files, et cetera. Or have a high line speed when all you want to do is emailing, and the occasional surfing. 5. Size of the “Cap”: A "Cap" on an ADSL line is simply a limit to how much data one can download per month. It is usually measured in MB (megabytes) or GB (gigabytes) and once depleted, your ADSL internet connection stops working and you’ll have the option to buy additional bandwidth. 6. Existing ISDN Users: ISDN users will be required to convert their existing line to an analogue line which supports ADSL. Real Image will assist with the application through SPTC. *For Multiple users you will need a network in place. Real Image offers a number of value adds with your basic realBusinessBand package. These value adds are what sets us apart from other Internet Service Providers in Swaziland. © 2019 Real Image Internet. All rights reserved.